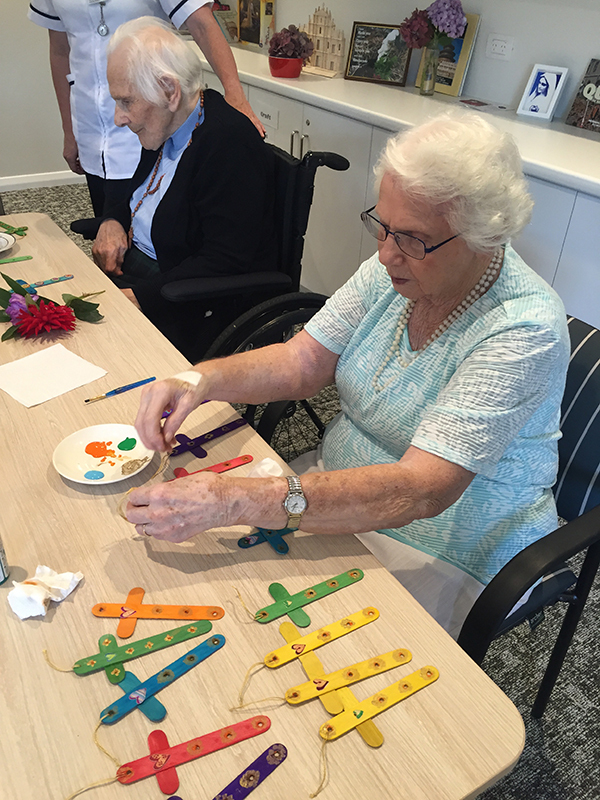 Every first Wednesday of the month, a volunteer from the Nazareth Care Village comes to do and give craft lessons to the residents in the House. 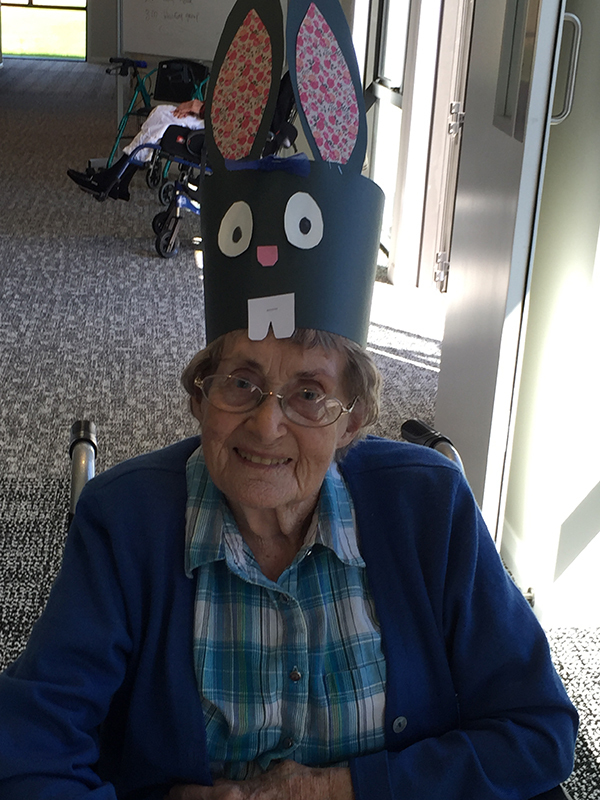 Around 12 residents regularly attend this monthly session and they really enjoy helping with the crafts, whether cutting different colored hearts for the Larmenier Week, making and decorating different types of hats for the hat parade, crafts for the Queen’s birthday, or making colored crosses for the Lenten season and Easter Sunday. 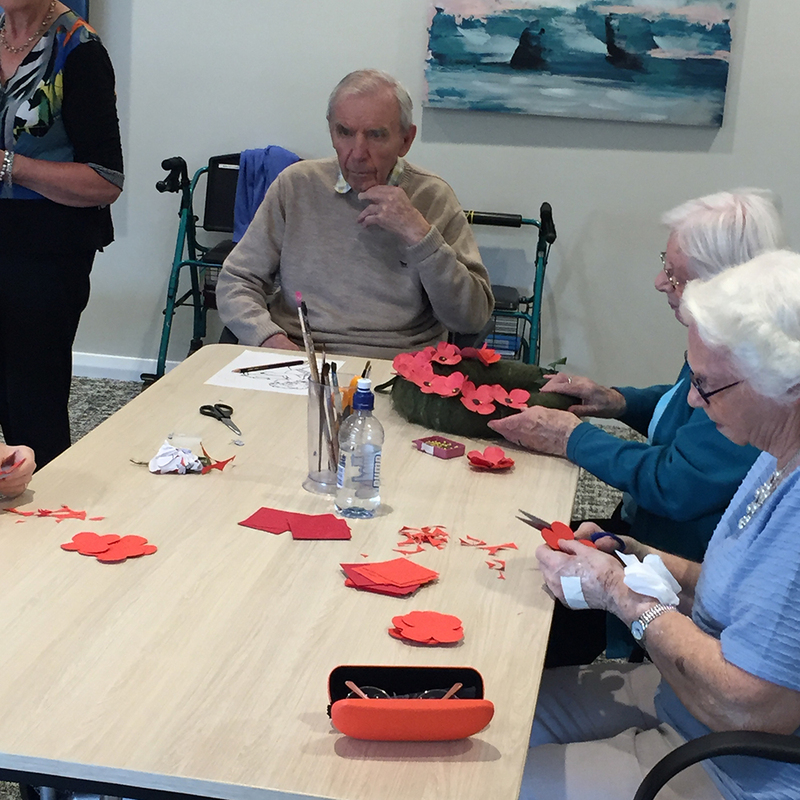 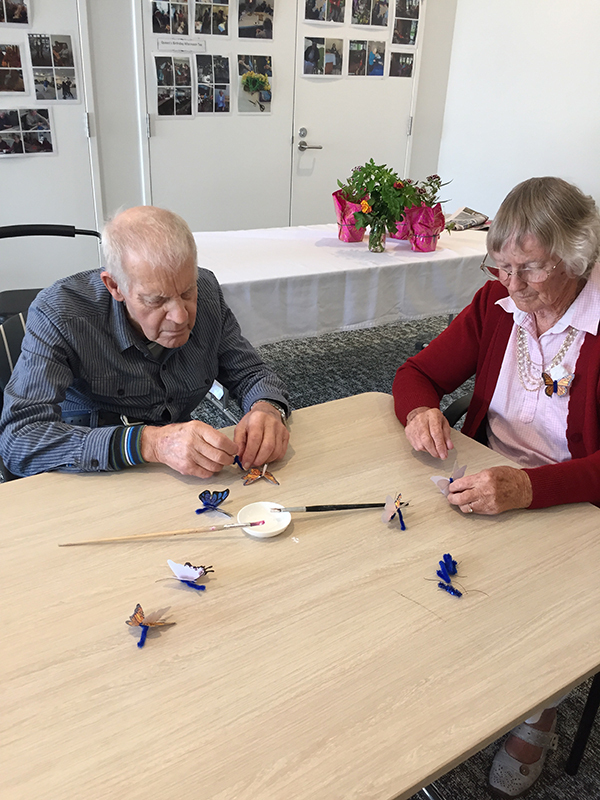 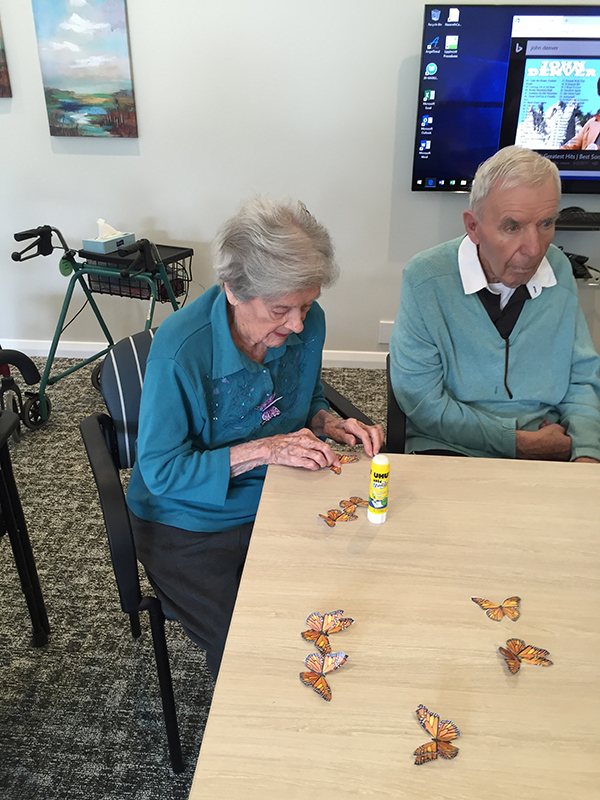 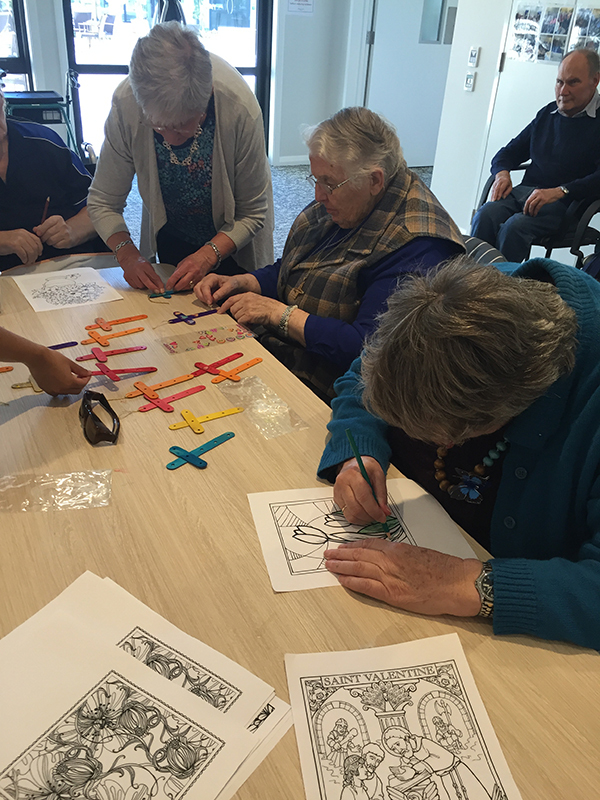 Residents enjoy coming together and doing as much as they can with their creative hands. 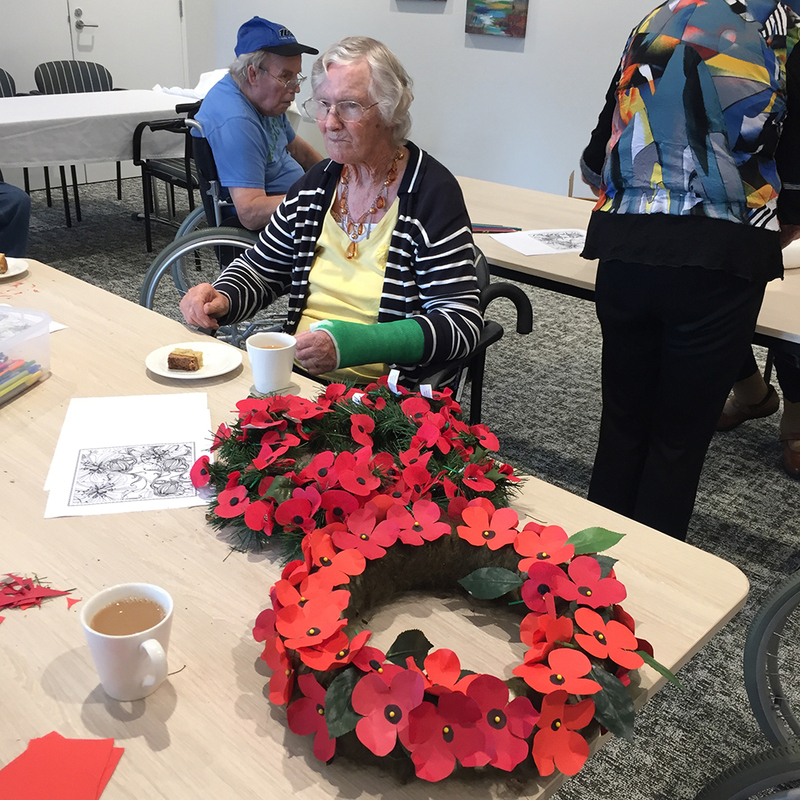 They also love to have their artworks on display to show what they have done and are happy to see the Sisters, employees and other residents wear their artwork. 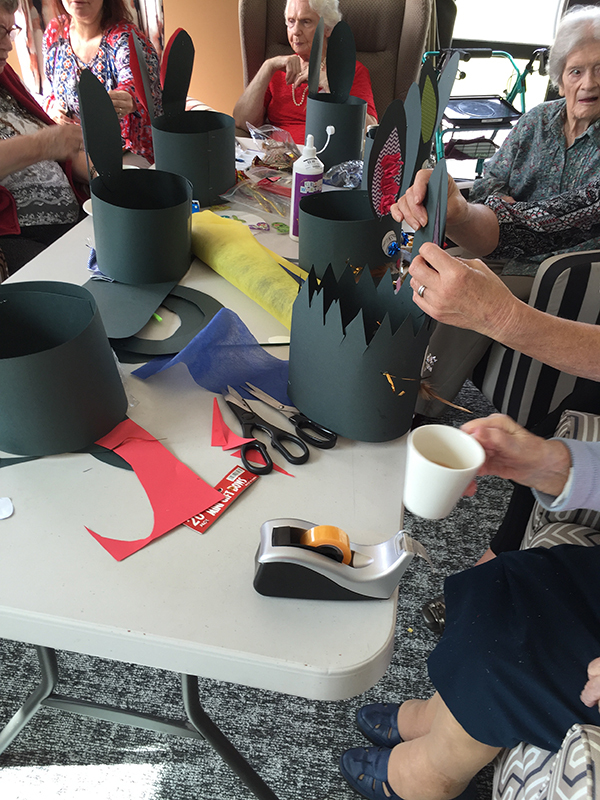 Most of all, they have fun interacting with each other, chatting with a cup of coffee and biscuit while doing crafts.